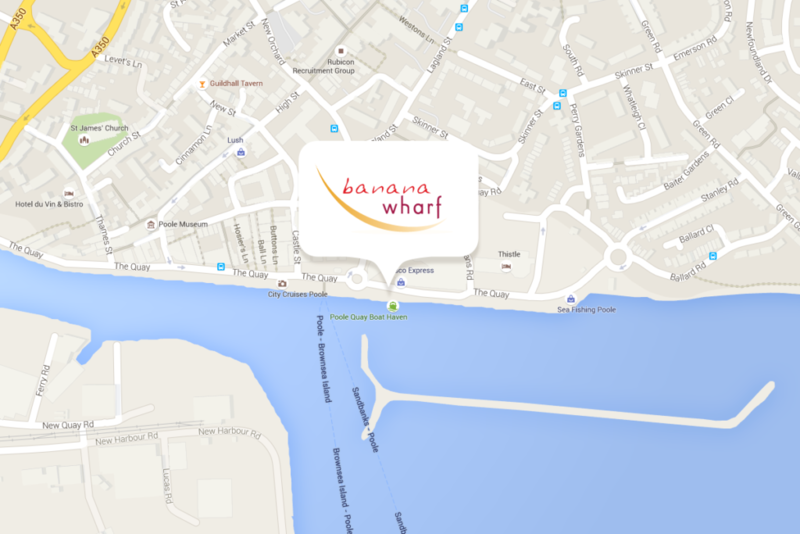 Banana Wharf bar and restaurant at Poole is the perfect spot to meet, eat and drink by the water. The exciting menu mirrors the flagship Ocean Village restaurant blending tropical and oriental dishes with great seafood, traditional favourites, pizza, pasta and a fabulous breakfast selection. With fantastic views looking out over the Marina and Brownsea Island, Banana Wharf Poole is the perfect spot to meet, eat and drink by the water. Friendly welcome, great customer service by aaron, fantastic view over harbour in elevated position food good quality and quality very enjoyable 5 * cleanliness in toilets. Have been a few times now and for the location the cost is very reasonable. Lots to choose from. Friendly service. Always book as it can get busy. The have a delicious dining card to get money off so definitely join the scheme. This place is lively and well patronised by locals and visitors alike. Well managed by the French and English speaking Manager Yanick and his excellent team of servers. If you like deserts, well try the pancakes, excellent with a range of toppings. Superb locally sourced ice cream. One tiny critic, for regulars it would be nice to have a specials board. Prices are average for this type of restaurant, check out the 2 for 1 offers if your on a budget. When you go keep a look out for my cruiser, its the white one in the boat slip nearest the restaurant, its quite big you can't miss it. First visit, and there will be plenty more. Best views in Poole, overlooking the Quay marina and harbour. Very good and friendly service, wide menu and most importantly...well prepared and tasty food. We pay regular visits to Banana Wharf & have never had a bad meal. The atmosphere is great always buzzing with people & the staff are brilliant they really make you feel at home & relaxed. We always try to get a table by the window as the views across Poole Harbour are fantastic. Well done 10/10 again.